Third generation of a winemaking family, Santiago de Íscar has been working at Javier Sanz Viticultor for the past 15 years. 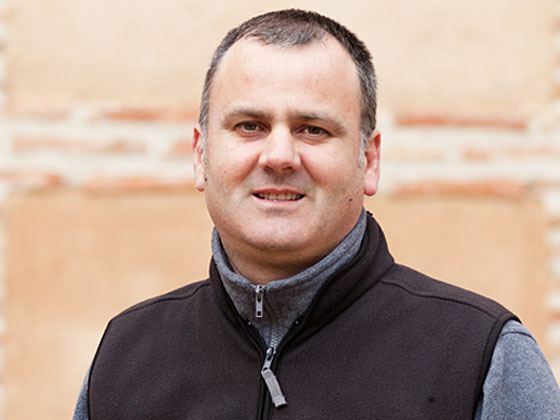 He received his credentials in Technical Engineer in Viticulture and Oenology from the University of Madrid and has a Master in Enology. Santiago is a viticulturist at his family owned vineyards and a regular taster for the DO Rueda's Technical Tasting Committee. Specialized in the production of white wines, Javier Sanz' Verdejos have received numerous prestigious national and international awards, including a Zarcillo de Oro, several gold medals in Mondiales Selections des Vins Canada gold medal and the Concours Mondial de Bruxelles among other recognitions.